Malaysian Adrian Tan left the comfort of home to set up a hospitality business in the Philippines. After countless flights around the world and staying at various accommodations, Adrian Tan has begun to grow weary of travelling. But wanderlust still prevails in his blood. So the Malaysian did the next best thing - he set up a hostel business in a foreign country. "Travelling is addictive but I've come to a point where I would like to have some kind of permanence," he offers during an interview at Menara Star in Petaling Jaya. A 16-year stint in advertising, many freelancing opportunities and his own passion to see the world had brought Tan to different parts of the globe. "I remember being at a beach with my girlfriend, and feeling so tired of travelling and moving around. And I thought to myself .. 'What's next? '," Tan, 40, shares. The answer to that question would come in the form of a hostel named The Flying Fish in Dumaguette, the Philippines. Opened in August 2016, the boutique hostel is converted from an old abandoned Spanish-style home. The Philippines was once a Spanish colony and remnants of that past could still be seen in many of the old buildings in the country. It was during a scooter ride that Tan chanced upon one of these colonial-era homes. "There is no proper website or real estate broker in Dumaguette to help us to look for vacant buildings. So it was just me riding around in my scooter and asking the locals what are some properties or lands that are for sale in the area," Tan says. That is, of course, the condensed version of how The Flying Fish came to fruition. The backstory though, reveals plenty of grit and determination. For someone who conceptualised the design and was very hands-on with the construction of the hostel, one would think that Tan has all the relevant background and basic skill sets. Looking back, Tan calls the whole experience "pretty unthinkable". 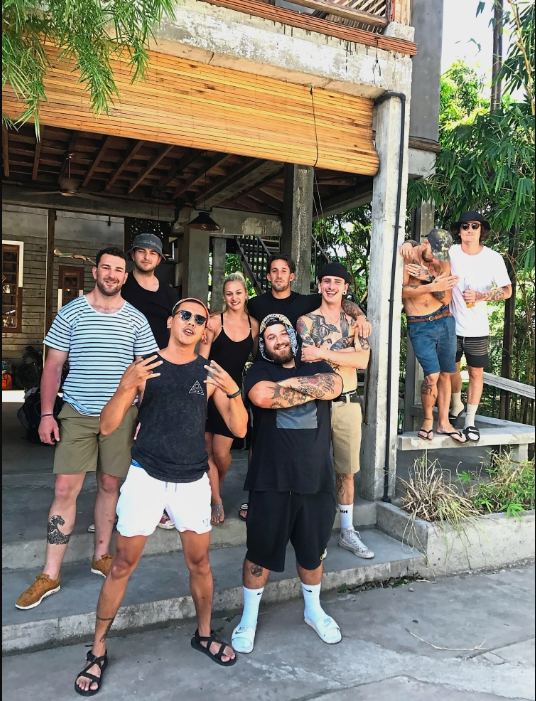 "Just the fact that I didn't have any prior experience or knowledge in construction or hospitality … who would have thought about running a hostel business?" he says with a laugh. Fortunately, he had the support of loved ones and business partners to spur him on. "We did not start with help from parents or anything like that. The money was just all my savings as well as some assistance from friends," he reveals. Construction took about a year, during which Tan managed a team of foremen and labourers. At times, he would even get on the ground and participate in the building process himself. Being in a foreign country, Tan also has to contend with language barriers. Then there's the challenge of operating in an environment with limited infrastructure. "The luxury of electricity in Dumaguette is not the same as back home in Malaysia. Sometimes the blackouts last the whole day. A backup generator is something that every hoteliers there will have," he says. Tan says comfort is important when it comes to the beds provided at the hostel. When the hostel finally opened its doors in August 2016, Tan found himself wearing several other hats. "The first year was a struggle for me because I had to pick up accounting and Microsoft Excel skills. I don't love it, but I still had to do it," says Tan. And suddenly, he's also finding himself dealing with various personalities. "With hospitality, you are dealing with people. You definitely need to have a lot of energy and patience. There's also the constant apologising," he says, adding that he has learned to handle absurd requests as well as the occasional drunk guests. Tan has met many travellers who exchange many interesting stories with him. The idea to set up a hostel is also spurred by Tan's years in the creative advertising scene. "My initial plan was that I wanted to create something that was very much permanent. In the past when I used to work on TV commercials, it might only show for, at most, a year if it's a good production," he says. Setting up a hostel would enable Tan to leave a lasting legacy behind - that and the fact that he now has beds that fit his towering physique. "My legs will always come out from the foot of the bed whenever I stay at hostels. 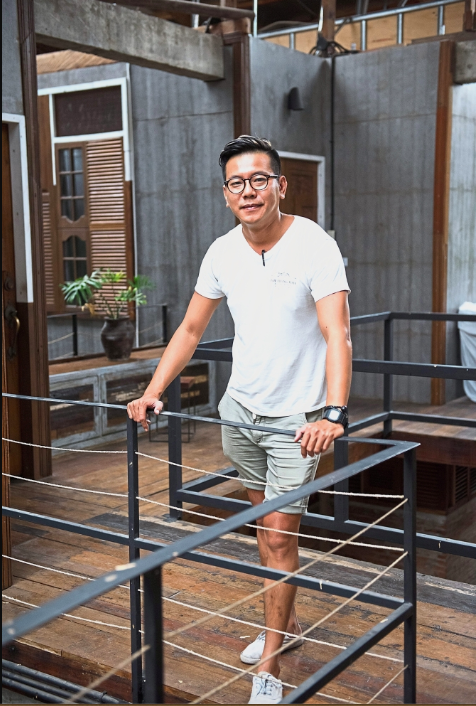 I've always thought it would be great to have hostels with beds that are big and comfortable," Tan, who stands at 1.8m tall, says with a laugh. On a more serious note, Tan reveals that there's a gap to be filled in terms of mid-range accommodations in the Philippines. Setting up a hostel would enable Tan to leave a lasting legacy behind – that and the fact that he now has beds that fit his towering physique. "Depending on your budget, it's either you're in a very shabby guesthouse or you're at an overpriced resort. There is not much mid-range options in the Philippines. Even if there is, the amenities are usually not complete," he explains. Of course, it's also vital that properties have that Instagram-able factor these days - something that The Flying Fish displays readily. What used to be a Spanish-style family home is now a picture-perfect space with a cool industrial vibe. Along with its minimalist aesthetics, The Flying Fish also utilises recycled as well as upcycled materials throughout the property. The decision to use sustainable materials boils down to the fact that construction is done in an environment with limited construction resources that are otherwise readily available in bigger cities. Tan decided to overcome that challenge by resorting to the usage of recycled drift wood and hardy bamboos. If anything, being eco-conscious ranks high in the DNA of The Flying Fish. The hostel even conducts local beach clean-ups and other environmental initiatives. Located in the province of Negros Oriental, Dumaguette is a university city with a population of about 130,000. Perhaps best known for Silliman University, the place is a popular education hub for students from surrounding provinces and cities. In a 2014 report, Forbes called Dumaguette one of the best places in the world to retire. The large and thriving expat community there can be attributed to the destination's temperate climate and a handful of relaxing beaches. Tourist spots range from a storied stone church (Catherine of Alexandria Church) and historic watchtower (Belfry Tower) to refreshing waterfalls and scenic lakes at the nearby islands. Meanwhile, the seafront Rizal Boulevard (named after a local hero) is a popular landmark where one can find plenty of restaurants, bars and cafes. For Tan, Dumaguette is a reminder of a time when things were very much simpler. 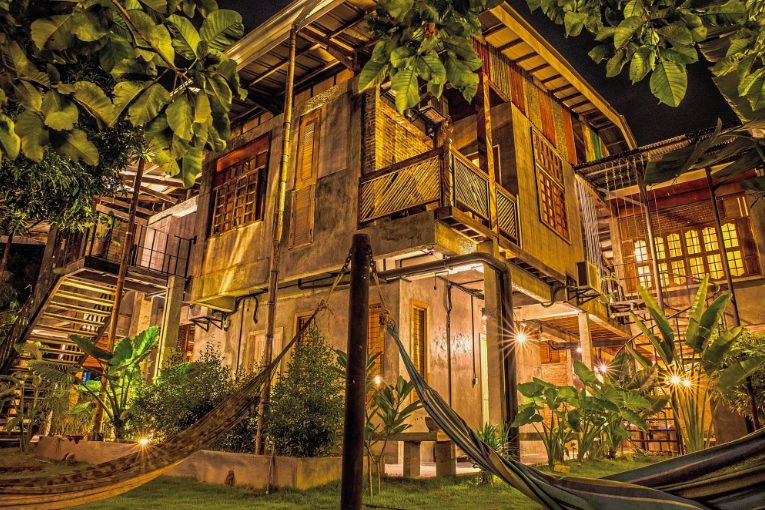 The hostel uses mainly recycled drift wood and bamboos. "I like how everything falls back to basics. The vibe is completely different from big cities. You can ride your bike to run errands and there's not a single traffic light on certain stretches of roads in Dumaguette," he says. 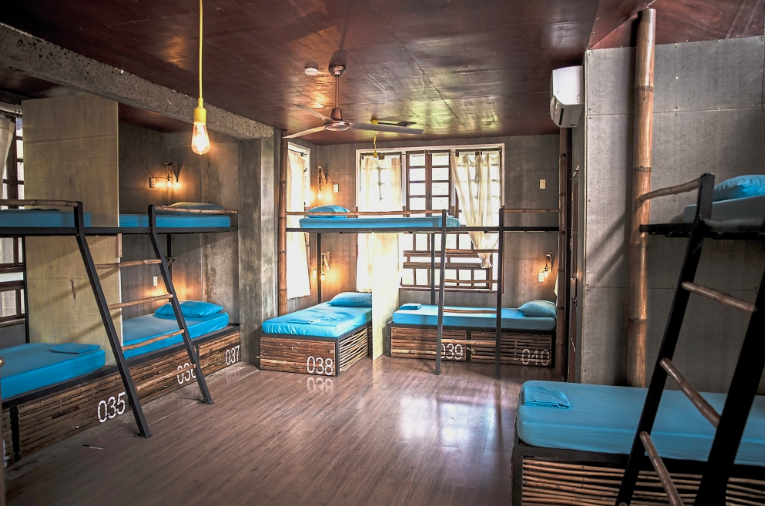 Moving forward, Tan is looking at opening up more hostels in the Philippines. The construction of a second property is already underway in Cebu while there are plans to expand to Siquijor, Bohol and Siargao. 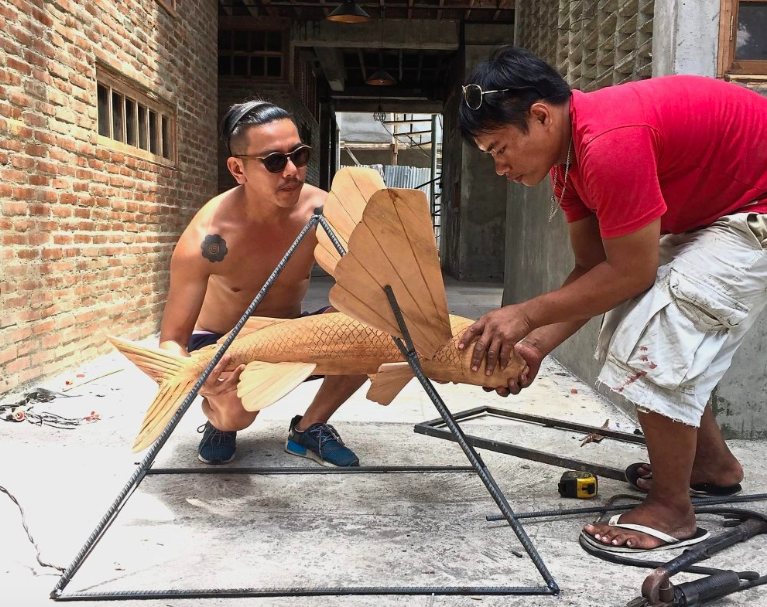 Ultimately, Tan hopes to give The Flying Fish a regional exposure. Does that mean he's putting all travel plans on hold at the moment? "Although I don't travel as much now, I still get to meet new people from all backgrounds and culture. I'll be at my hostel and travellers will come with all their wonderful stories," he concludes.